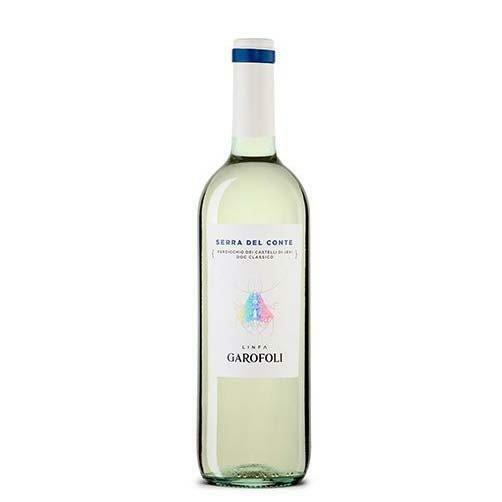 Serra del Conte is the Verdicchio dei Castelli di Jesi Doc Classico Lymph line of Garofoli, celebrating nature that renews itself, creating a new range of young wines, the first tangible fruit of the new harvest. “Sap” is the synonym of freshness, simplicity and vitality. Is a small selection of the type of Verdicchio Classico more widespread and better known to the consumer. It is a medium-bodied wine, fruity, fresh, delicate and pleasant to drink young. A simple white, vinified and matured in stainless steel vats in order to preserve the natural fragrance.